Indian telecom sector is going reshape its future from the mess created by policy irregularities and uncertainty created by Supreme Court’s licence cancellation. There are some big deals are inked up, though mostly by Reliance Jio. However the passive infrastructure companies also looking for consolidation. 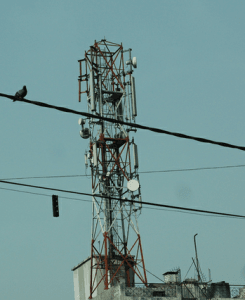 In a latest report American Tower Corporation (ATC) is in talks with smaller tower firm TowerVision India to acquire the later. Gurgaon based TowerVision is actually owned by Israels’s Fore Group and private equity firm Quadrangle Group. It has around 8,000 towers across India, while ATC has around 10,000 towers with tetancy rate of 1.8. In December 2010 TowerVision started selloff talks with ATC and GTL Infra but talks did not finalized. Since its entry in India, ATC acquired XCel and Essar’s tower firms during 2009-10. That time Quippo and Tata’s tower firms were merged into Viom Networks. Since then ATC’s TowerVision acquire is possibly the largest take over in tower market. There is no details of amount of the deal.